British singer-songwriter James Morrison wowed the SnowpenAir crowd on Saturday, 6 April 2019, with his soulful yet smoky voice. Krokus, on their farewell tour, got things going with their power rock. DJ Antoine took care of the party atmosphere at the penultimate SnowpenAir. 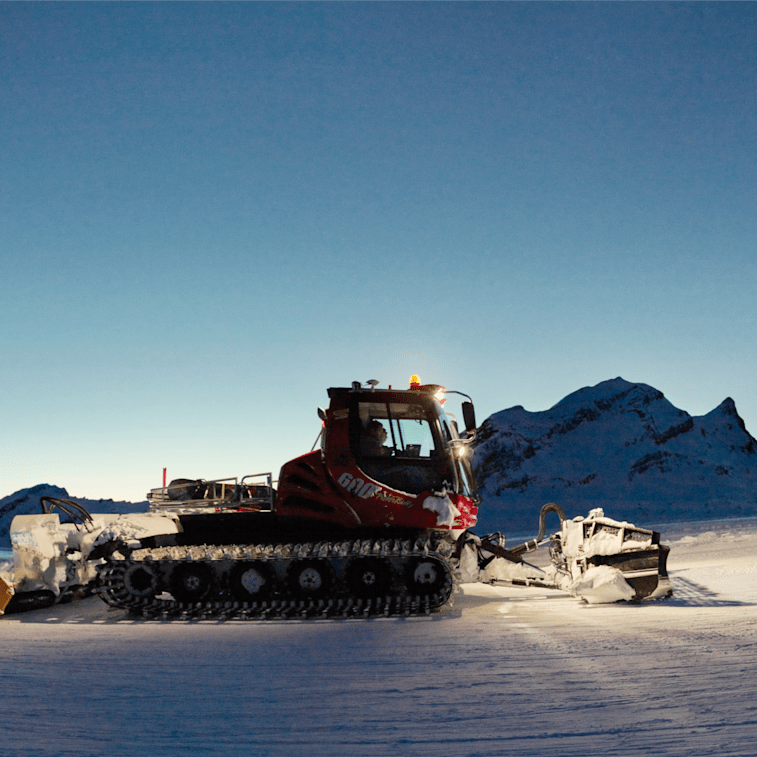 By Friday morning, more than half a metre of fresh snow is expected in the Kleine Scheidegg ski area. The late onset of winter on the weekend of 6 and 7 April 2019 will ensure very good slope conditions. 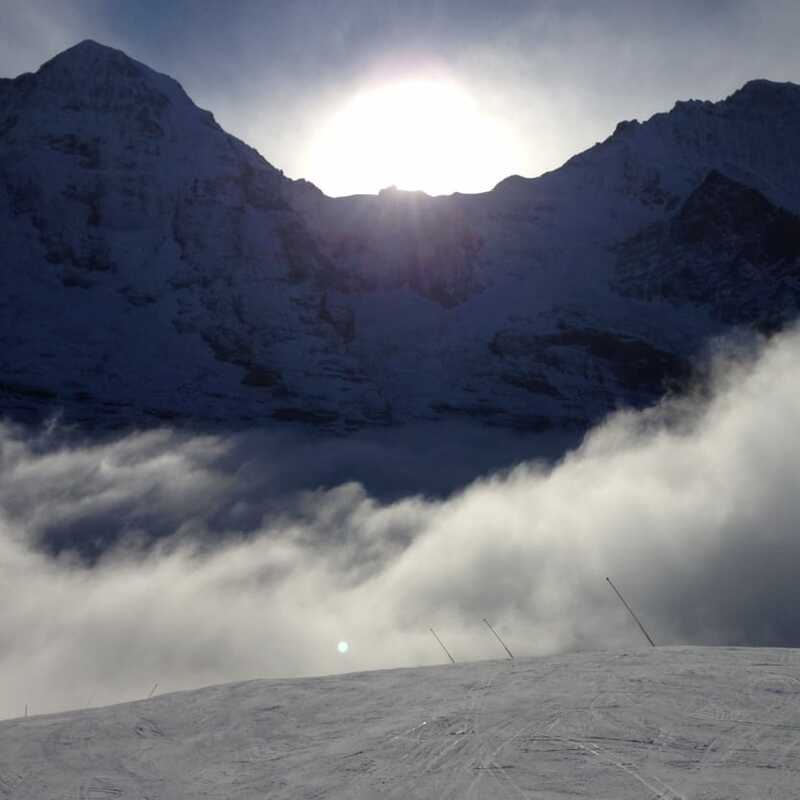 The valley runs to Grindelwald and Wengen are open. 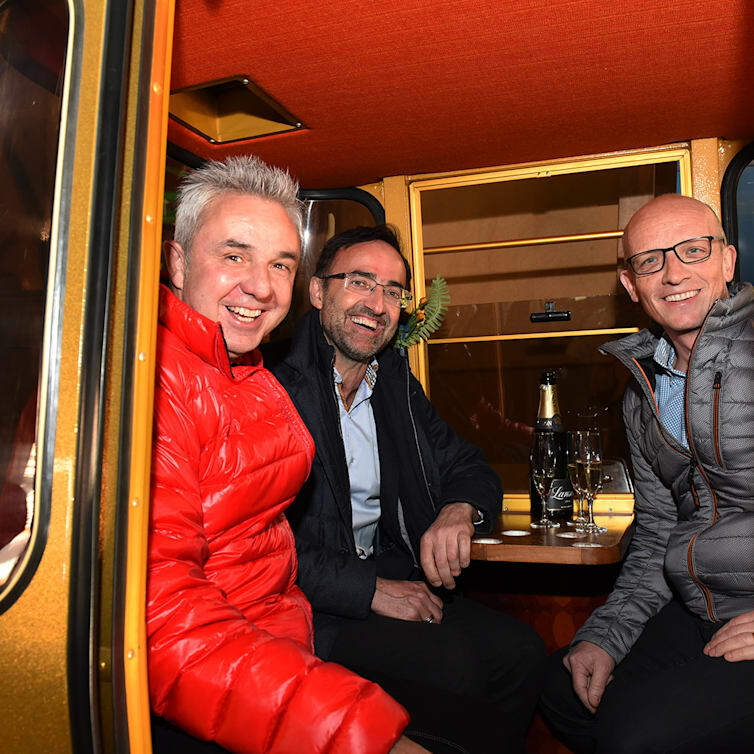 This Sunday, 31 March 2019, the venerable Grindelwald-Männlichen (GGM) aerial gondola ended its service after more than 40 years. At 18:15 h, the last 4-passenger gondola of the once longest aerial gondola in the world arrived at the valley station in Grindelwald Grund. As early as December 2019, the new GGM will be reopened as part of the V-Cableway project. The Jungfrau Railway Group recorded a profit of 47.8 million Swiss francs in 2018, the best result in its history. The Board of Directors has proposed a dividend increase of 16.7 per cent to the AGM. At today's financial press conference in Berne, statements will be made on the preceding financial year. Since the beginning of 2019, guests on the route from Interlaken Ost to the Jungfraujoch have been accompanied by Jungfrau Railways train conductors. The focus is on taking care of guests and inspecting tickets. Tickets can no longer be purchased on board. Tickets are mandatory. 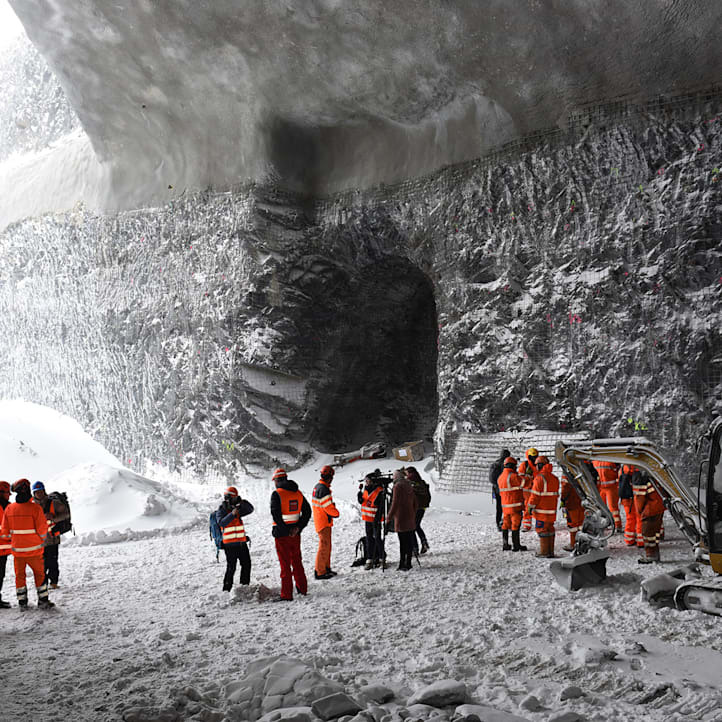 At noon today, 15 March 2019, on the Eiger glacier at over 2,300 metres above sea level, the breakthrough took place for the future mountain station of the Eigerexpress tricable gondola. This was an important milestone in the realisation of the 470-million V-Cableway project after nine months of construction. With over 39,000 Top4 ski passes sold in this winter sports season, last year’s successful premiere was surpassed. 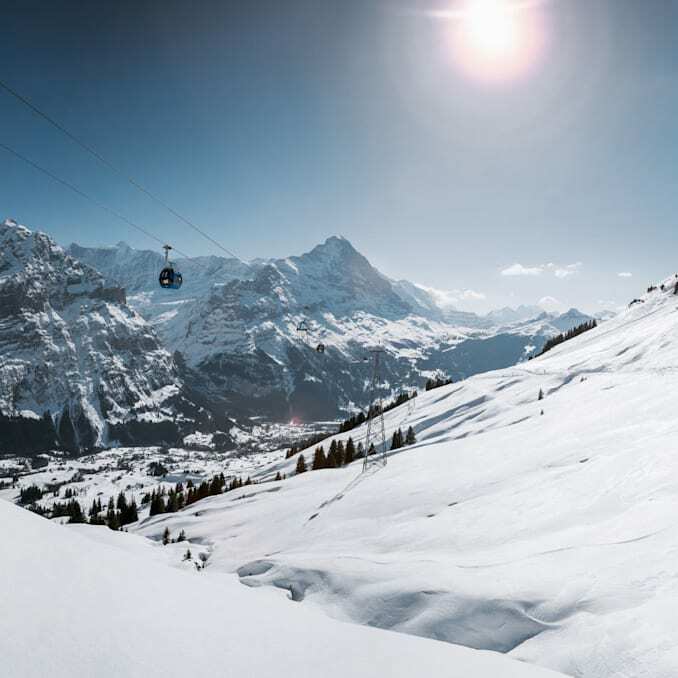 So Adelboden-Lenk, Gstaad, the Jungfrau Ski Region and Meiringen-Hasliberg are sticking with their joint season subscription for the winter of 2019/2020. Holders of a Top4 skipass will now benefit from attractive price reductions on summer mountain railway tickets in all four regions. The weather forecast for the coming weekend promises perfect winter sports conditions. A high volume of visitors is expected again. To meet the strong demand, on Saturday 23 and Sunday 24 February 2019, Jungfrau Railways is opening some facilities in their ski sub-areas of Grindelwald and Wengen half an hour earlier. 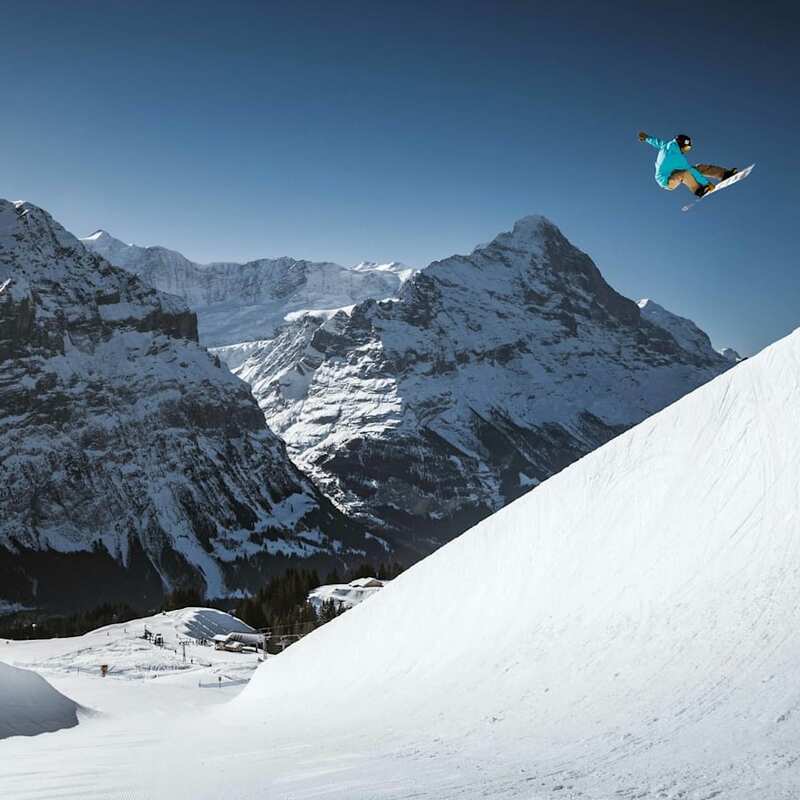 A few days after the spectacular Lauberhorn downhill race, most sections of the famous race course are already open to all winter sports enthusiasts. From Saturday, 26 January 2019, the original slope will be available without any restrictions. Daredevils can follow the footsteps of the ski stars and take on the longest run in the world from start to finish. 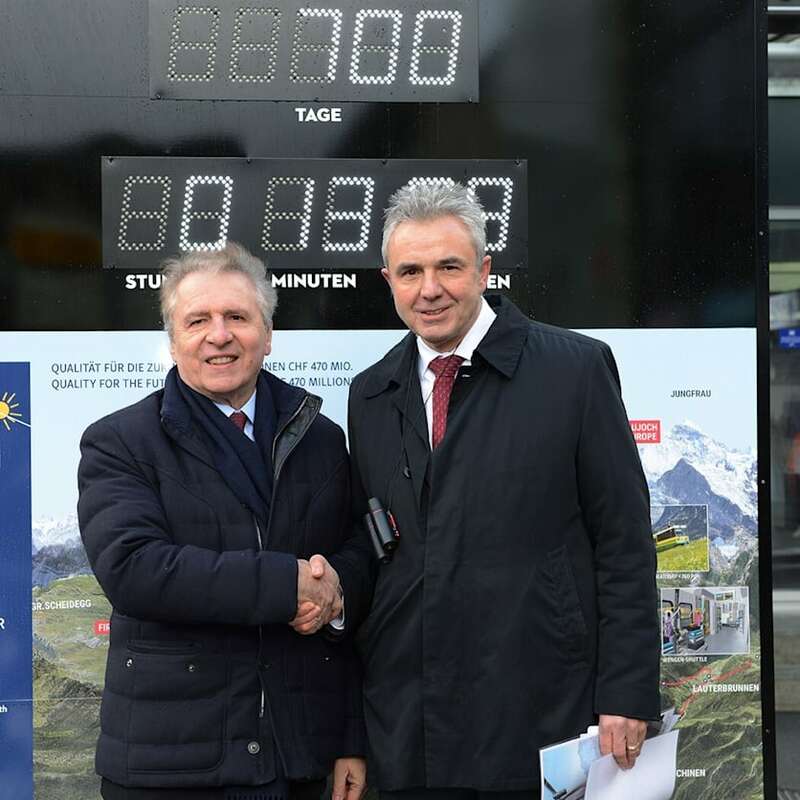 On Monday, 14 January 2019, Jungfrau Railways together with its watch partner Tissot unveiled the first of four countdown clocks for the V-Cableway at Interlaken Ost station. 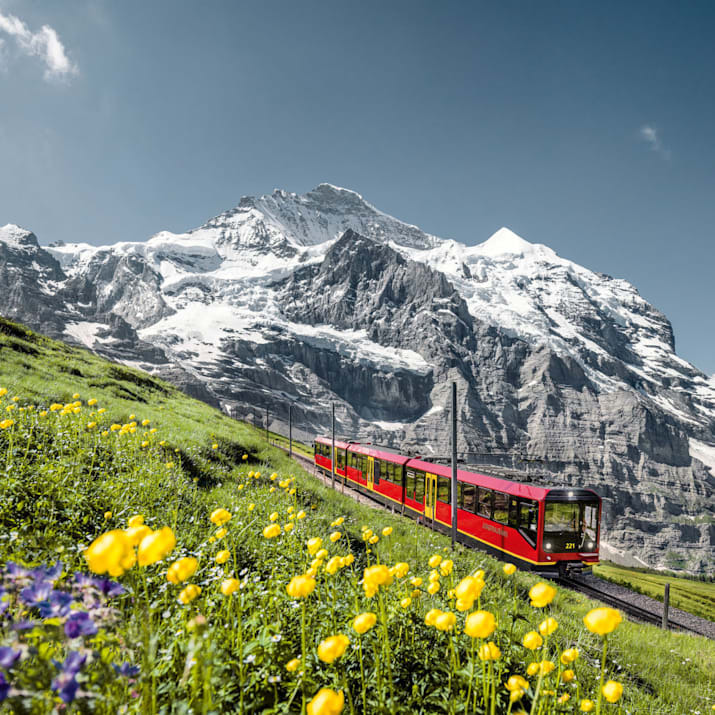 This is designed to draw the attention of guests and locals in the Jungfrau Region to the opening of the new 3-passenger Eigerexpress line on 14 December 2020. For the third time in its history, in 2018 Jungfrau Railways has attracted over a million visitors to the Jungfraujoch – Top of Europe. At the same time, the number of guests was increased in the summer season at all Experience Mountains. 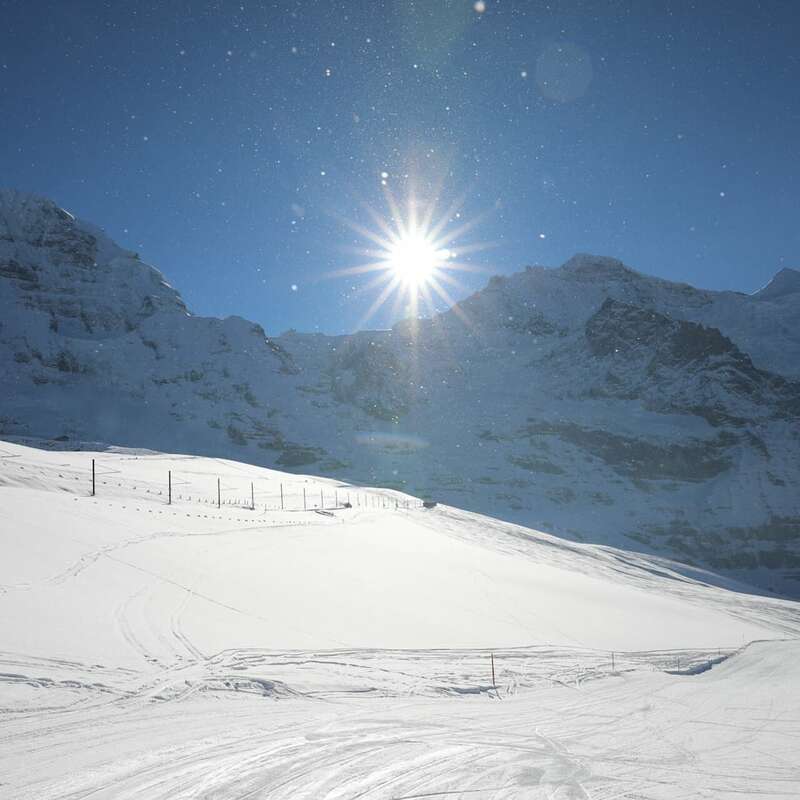 From the weekend of 22/ & 23 December 2018, winter sports operations are open at all ski areas in Grindelwald and Wengen. Right on time for the holidays, winter sports enthusiasts can curve their way down to the valley. 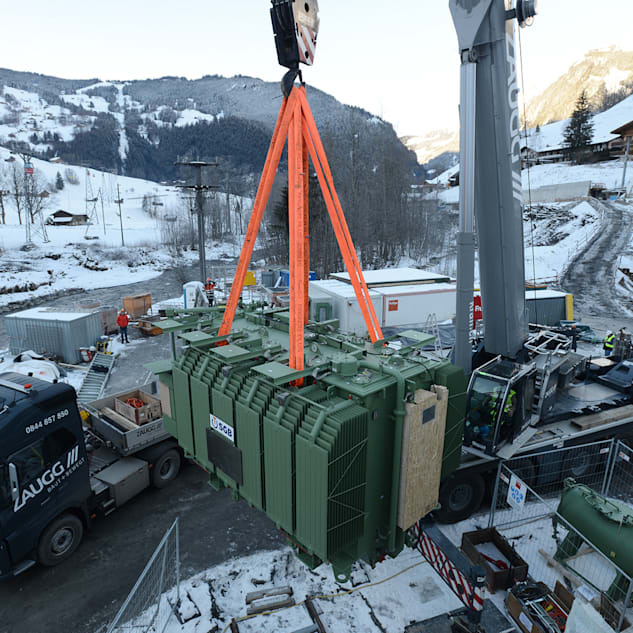 This morning, 18 December 2018, BKW's new transformer station was delivered to Grindelwald Grund by road, reaching its destination on schedule at the V-Cableway construction site. The Jungfrau Railways is taking part in the fundraising campaign "Every cent counts" and increasing an exclusive winter special offer for two persons worth 1000 Swiss francs. With the delivery of the new BKW transformer station to Grindelwald Grund, an important milestone in the V-Cableway project can be realised before Christmas. This clears the way for the old transformer station to be dismantled in spring 2019 and for the V-Cableway to be built in good time. 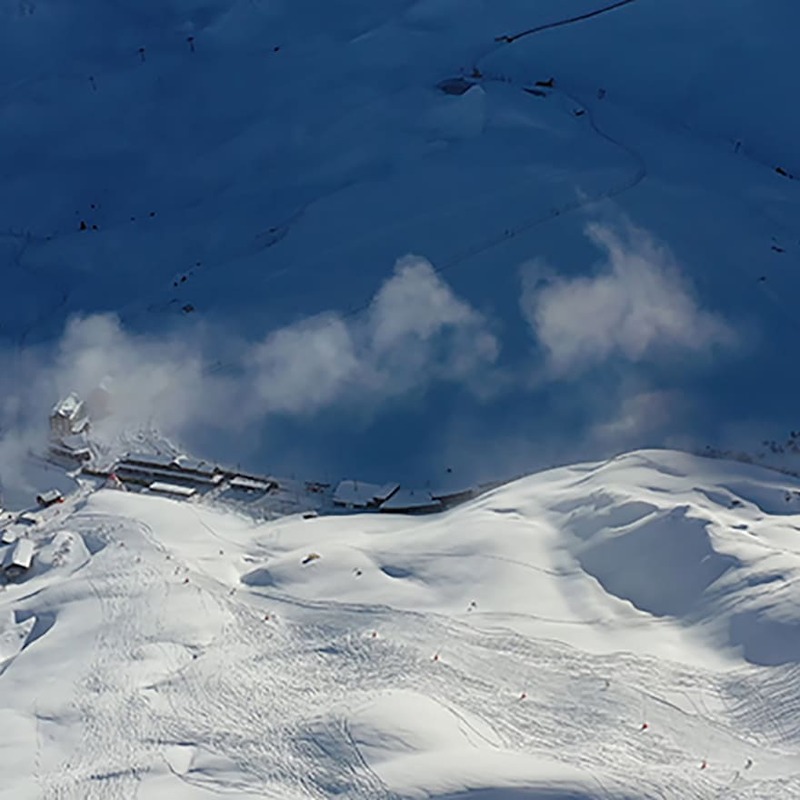 The new transformer station will ensure Grindelwald’s entire power supply from April 2019. 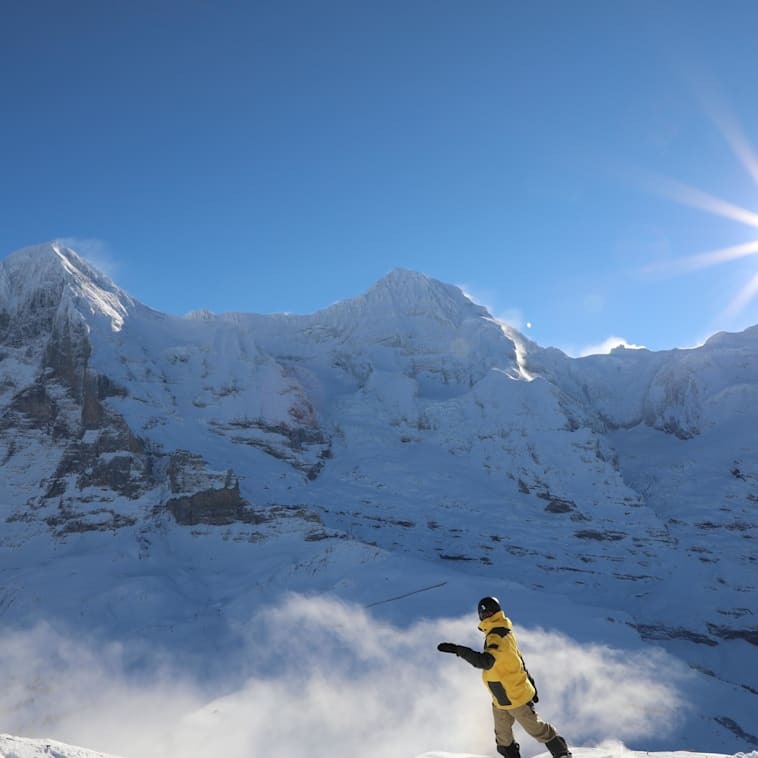 From Saturday, 15 December 2018, Grindelwald and Wengen will be offering continuous winter sports operation. In addition to an extensive range of slopes, guests will find attractive trails for winter walking and sledge rides available from next weekend. On Sunday, 16 December 2018, the pre-sale for the Top4 ski pass at the special price of 666 Swiss francs will end. So last-minute shoppers have only a few days left to get the Sportpass for the four largest ski resorts in Bern at a special price. Jungfrau Railways has bought Pension Gydisdorf in Grindelwald with effect from 1 January 2019. The goal is to secure the long-term access to the First Railway from Dorfstrasse with the purchase of land. 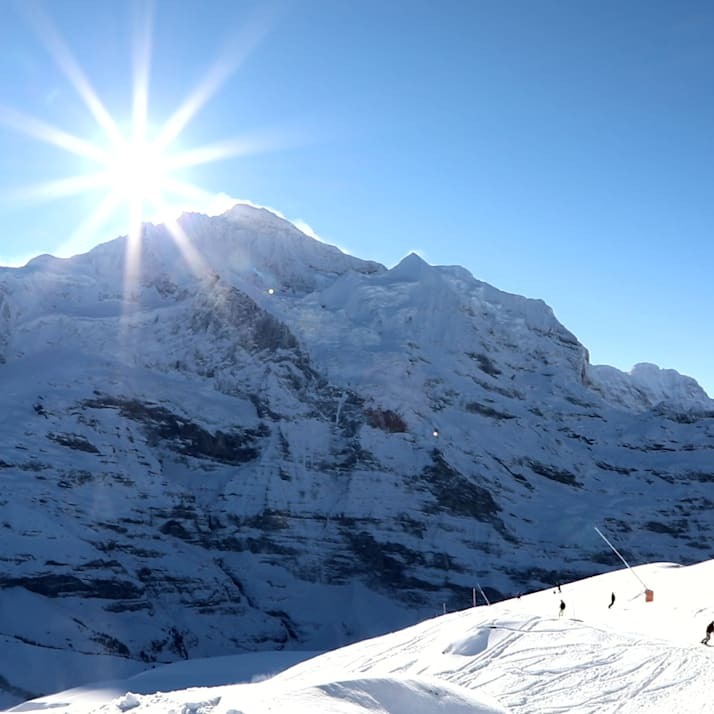 On the weekend of 1 and 2 December 2018, the winter sports season begins in the ski resorts of Grindelwald and Wengen. Thanks to technical snowmaking and good conditions for piste preparation in the last few days, the first lifts and pistes can be opened. 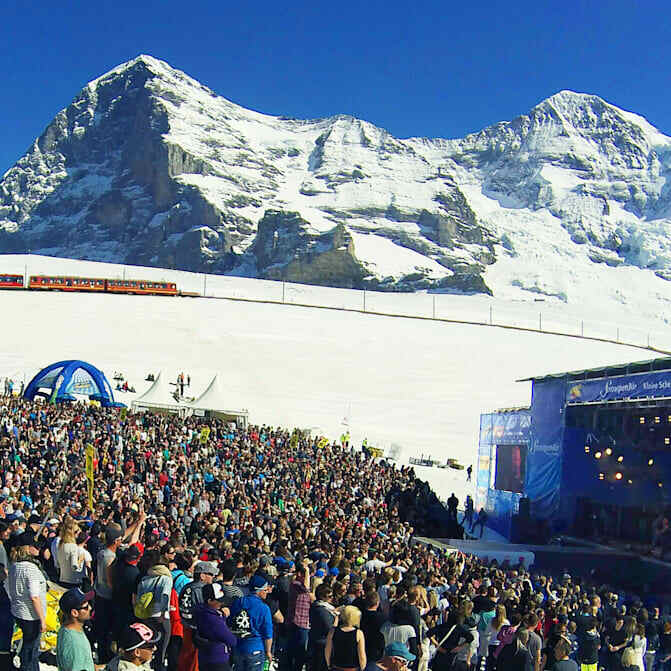 On Saturday, 6 April 2019, British singer-songwriter and pioneer of soulful pop rock James Morrison will perform in the snow at the world’s highest open-air festival. 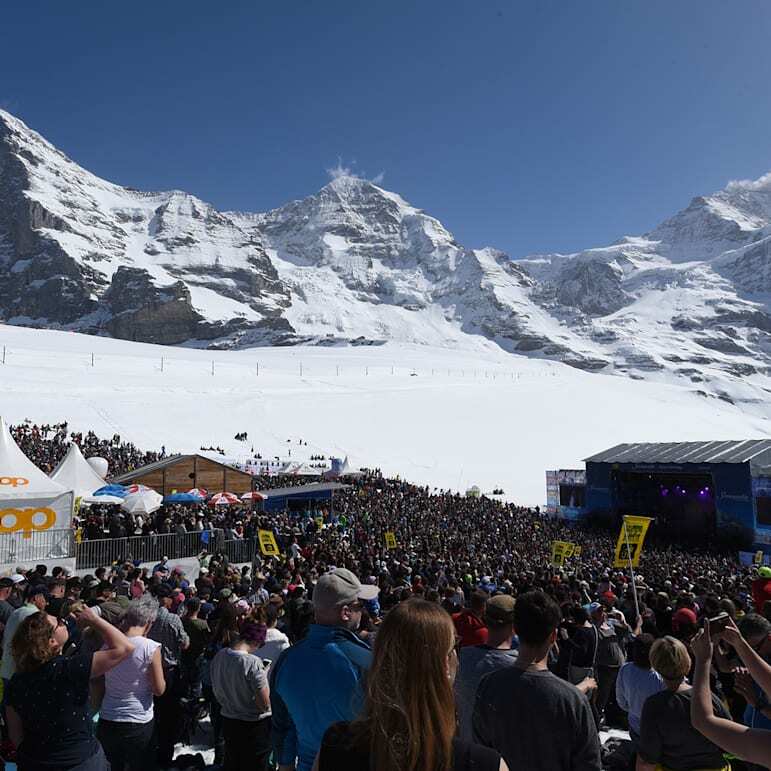 The successful Swiss band Krokus will make a stop on their farewell tour on the Kleine Scheidegg. DJ Antoine and Ritschi will also be performing at SnowpenAir 2019. Advance booking begins today, Thursday, 1 November 2018. On Thursday, 4 October 2018, golf star Rory McIlroy played on the Jungfraujoch – Top of Europe. The four-time major champion proved his accuracy on the especially built glacier golf course. He was challenged by three young Swiss talents. 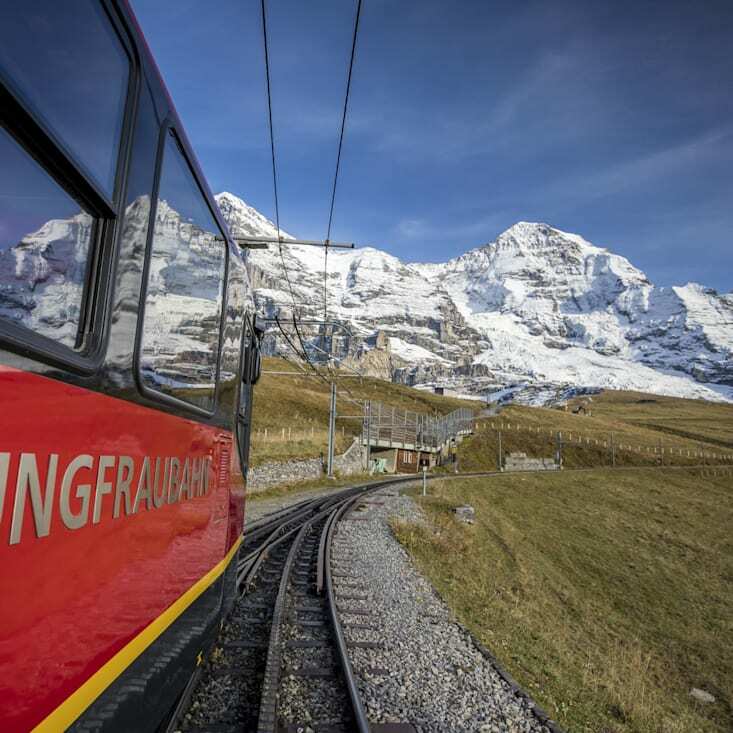 The Swiss Financial Market Supervisory Authority FINMA has concluded an enforcement procedure against Jungfraubahn Holding AG. It has determined a violation of market conduct rules. 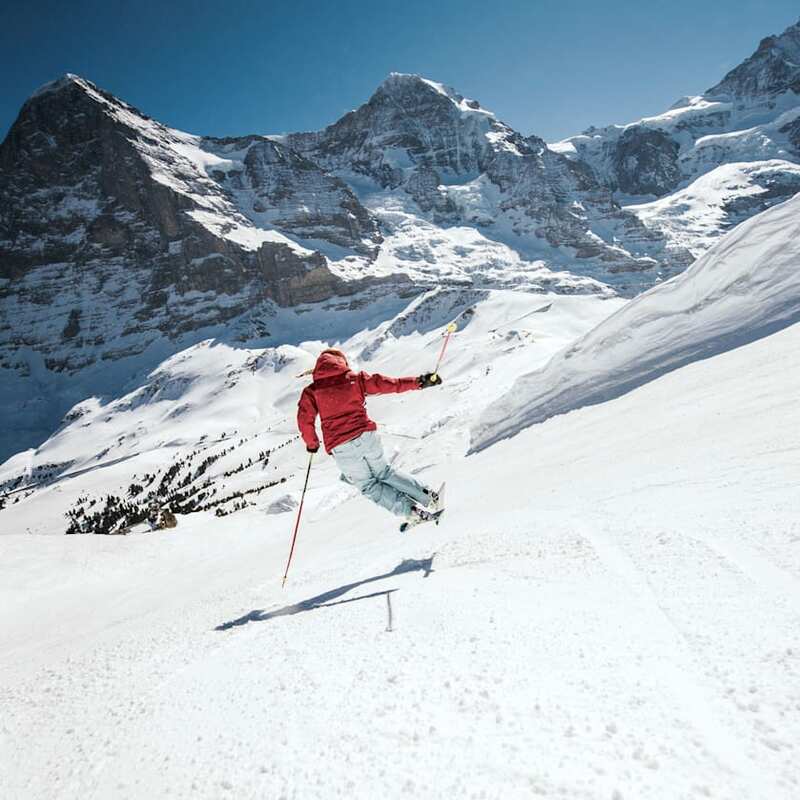 More than 36,000 Top4 Sportpasses sold in winter 2017/2018: After a successful launch, the four largest Bernese ski resorts want to beat this record and start pre-sale for the second season in early September. 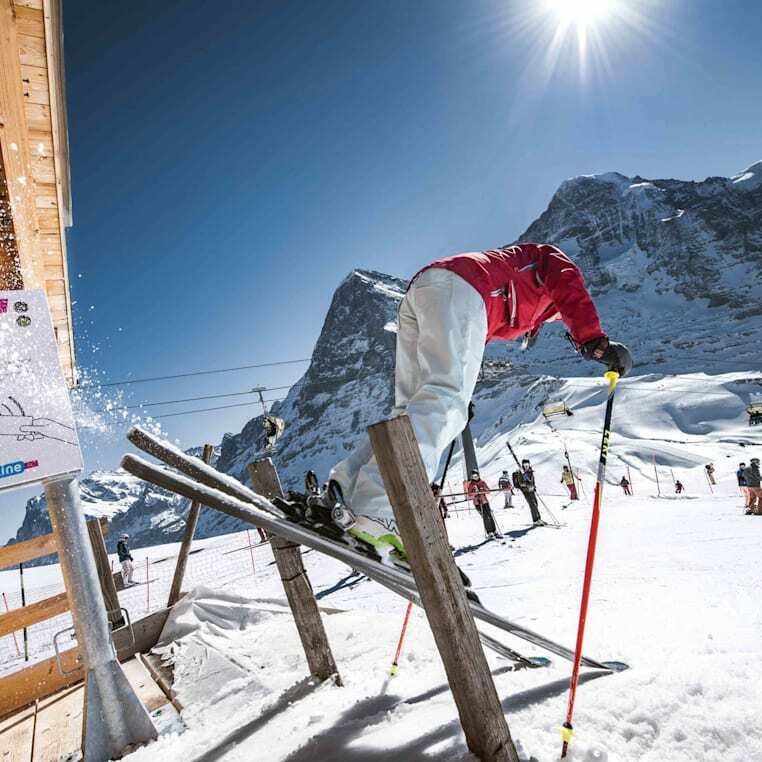 The joint winter sports subscription for Adelboden-Lenk, Gstaad, the Jungfrau ski region and Meiringen-Hasliberg and Gstaad will be available again for CHF 666 from 16 December 2018. The Jungfrau Railway Group can look back on an encouraging first six months of 2018. High demand from Asia, good slope conditions and consistently good weather had a positive effect on the operating results. The operating income was up 8.7% on the previous year to CHF 100.2 million. 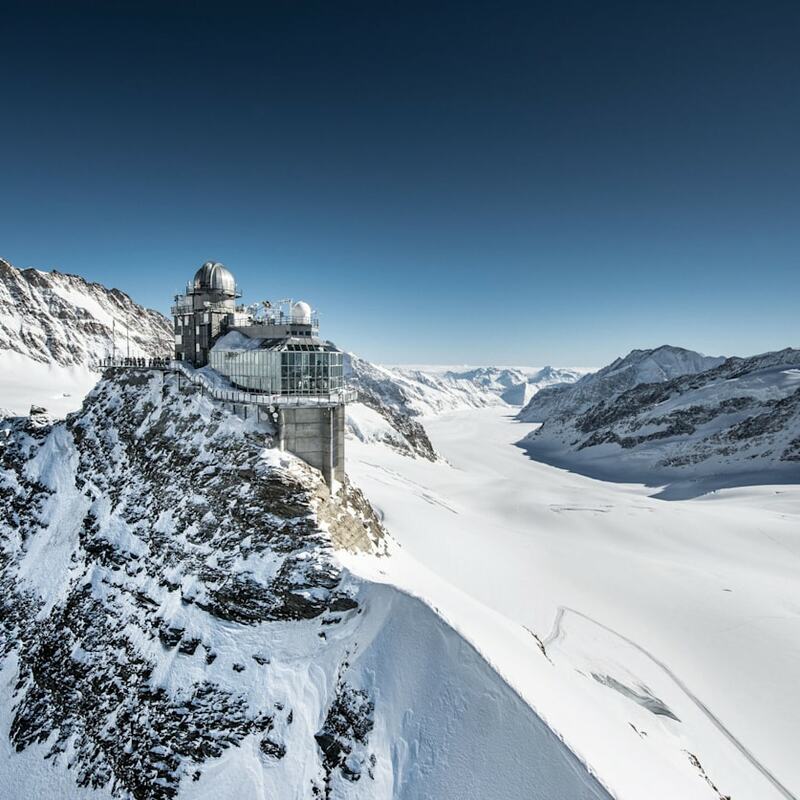 In the first half-year period, 466,300 visitors travelled to the Jungfraujoch. This is 0.4% more than during the same period the previous year and is the best ever result.